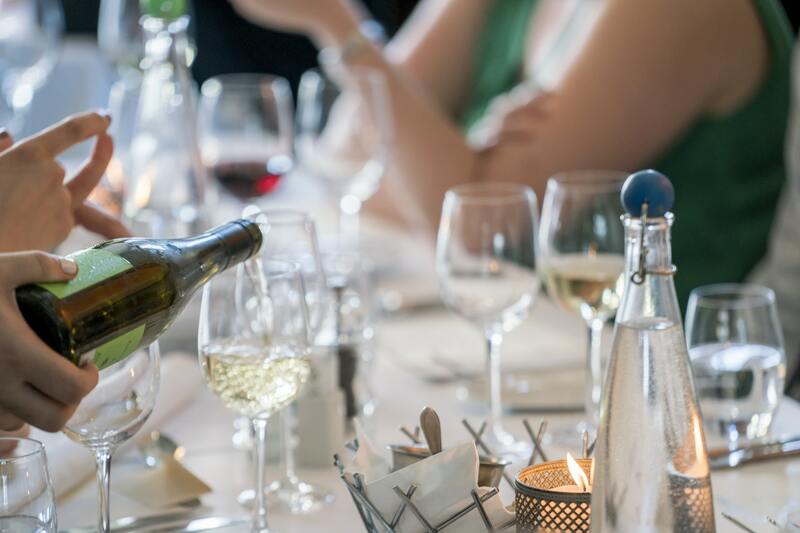 We look at the tax treatment of entertaining clients and employees – including the rules governing staff parties and taking potential clients out for lunch. In most cases, the cost of entertaining is not tax-deductible, and VAT is not recoverable on expenditure. However, the rules are complex (as ever), and VAT can be reclaimed in certain circumstances. Your limited company can pay for an annual event, and there are no personal tax implications if the total does not exceed £150 per head. This doesn’t need to be one event either, just ‘annual’. So you could have a Christmas Party and a Summer BBQ, and both would be allowable for Corporation Tax purposes provided the total of both doesn’t exceed the £150 per head limit (if it goes £1 over then the whole amount is a benefit in kind, so be careful!). The costs can include food, drink, tickets to events, accommodation and a taxi fare home. If you’re registered under the flat rate scheme then obviously you can’t reclaim any VAT, but those who are standard-rated can reclaim to the extent the costs are applicable to staff. If you have 2 staff and 2 guests, you could, therefore, reclaim 50% of the VAT. As with everything when it comes to HMRC, a common sense approach is advised. If you run a limited company and are the sole employee/director, having a Christmas party where you invite 10 guests (who happen to be your family members or friends) may be seen as uncommercial and therefore has the potential to be disallowed as it’s not ‘for business purposes’. Read more in Company Bug’s guide to the £150 annual party exemption. Your company can pay for entertaining of clients or potential clients, but this will not be an allowable deduction for Corporation Tax purposes. It’s still worth paying from the company though, as it saves you the income tax you would otherwise pay on withdrawing the funds to pay the costs personally. It makes no difference if the person being entertained is an existing customer, a potential customer, or any other person who is not an employee. The VAT element of entertaining can only be claimed when it relates to staff, as detailed above. Which leads to a further word of caution – if the staff member is acting as a host, and the purpose of the cost was to entertain the client, then no VAT can be reclaimed at all. Your company can pay the costs associated with your own entertainment, but it will be a benefit in kind, thereby leaving you no better off tax-wise than if you’d paid the cost yourself! More on business expenses and taxes.